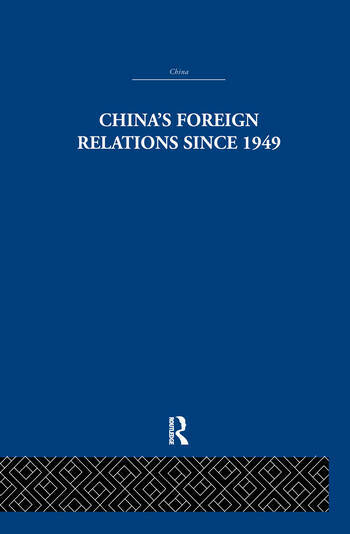 This volume presents the documentary evidence for understanding the evolution of China's foreign relations since the inauguration of the People's Republic in 1949. Over seventy documentary extracts cover the years 1949-1947. They include selections from statements and reports, conference resolutions, the speeches of Mao Tse-tung, Chou En-lai and other Chinese leaders, and editorials from People's Daily and Red Flag. Western commentators such as Edgar Snow and Neal Ascherson are also represented, however most of the material is from Chinese sources. · The development of Peking's strategy towards Asia, Africa and Western Europe.